The bottled 2013 Napa Valley Cabernet Sauvignons are every bit as viscerally thrilling as they have always been in barrel. Inky, vibrant and structured, the wines possess remarkable concentration, with bright acidity and powerful tannins to back it all up. Simply put, the 2013 Napa Cabernets are some of the most profound, riveting, young wines I have tasted anywhere in the world. The second year in the current drought cycle and precocious growing season produced powerful, inky wines with huge fruit, massive tannins and, most importantly, extraordinary pedigree. I expect the wines to evolve at a glacial pace. I first started following the 2013s in September of that year, a period I usually set aside for visiting vineyards just before harvest. But in 2013, my timing was not so good, and I arrived right as the fruit was being brought in. That provided a fascinating, early look at the vintage. By the time I returned in October for my second fall trip I had a chance to taste a number of wines straight from tank. The potential was evident. That early promise started to become a reality when I returned in the spring of 2014 to start tasting the wines from barrel for my article 2013 Napa Valley: A First Look…, which has more context on the vintage and my early impressions on a number of wines. Drought conditions were an issue from the outset in 2013. I remember speaking with growers in January who were already concerned with the water deficit and were considering irrigating imminently, which is unheard of at that time of year. Warm, drought conditions led to one of the earliest harvests on record. Small berry sizes produced wines with off-the-charts levels of concentration. In the cellar, the wines extracted easily. So easily in fact that many winemakers were afraid of ending up with monstrously tannic wines and purposely took their foot off the gas. Overall quality is simply extraordinary. The rising tide has indeed lifted all boats, as can be seen by the number of estates that over achieved and made brilliant wines. At the top estates, where quality is consistently high, the pedigree of the vintage manifests itself in second labels that are often better than flagship wines at other properties. When all is said and done, there is little doubt 2013 will go down as one of the all-time great vintages for Napa Valley. Historically, that lofty status in Napa Valley has been accorded to ripe vintages such as 1997, 2002 and 2007. But 2013 has little in common with those years. Two thousand thirteen is much closer in style to 2001, a vintage that has only started to drink well within the last few years. Although the weather conditions were quite different, comparisons can also be made to 2010, except the 2013s play on an entirely higher level. The 2013s are also far and away more interesting and pedigreed than the 2012s, a vintage that was massively overhyped largely because it was easy on growers after the very challenging 2011 and slightly less difficult (but much higher in quality) 2010. Producers in Napa Valley have the good fortune of working and living in one of the most privileged wine producing regions anywhere in the world. For starters, the weather and overall climatic conditions are extremely favorable for the cultivation of wine grapes (and other crops). Shock events such as hail, frost and late season rain that are common in other regions and countries are virtually unheard of. Winemakers in Napa Valley also have an extraordinary range of tools at their disposal. Irrigation is virtually a necessity. That has given birth to a number of parallel fields of specialization that hone in on very specific areas such as sap flow analysis (which shows the rate at which water flows through a vine), or vineyard development tools that provide the exact GPS coordinates to plant each single vine (to ensure the desired exposure) and a host of other technical data. Most wines are blends, which give wineries considerable flexibility in putting together the final wines, a lever that is not available to producers in Burgundy or Piedmont, to name two regions where the top wines are all mono-varietals. Most Napa wines are aged in the standard 225-liter barrel. Here, too, the smaller barrel size allows for maximum flexibility vis-à-vis regions where larger casks such as those used in the Rhone, Montalcino and Piedmont give producers much less of an ability to select the best micro-lots. Lastly, owners with deep pockets can make economically irrational choices to only bottle the very best of their production, something that most wineries simply don’t have the luxury to do. After the precocious 2013, no one expected another record breaking early harvest, but then 2014 arrived, and all bets were off. Budbreak was early by as much as six weeks. Perhaps even more surprisingly, yields were high in 2014, then the third year of the current drought cycle. I remember spending a week in Napa Valley in mid-April and hearing producers explain that the vines were setting themselves up for an abundant crop. And that is exactly what happened. The harvest also turned out to be even earlier than 2013, but the season was quite balanced. What little rain there was fell at the right time. Once again, my fall trips coincided with the harvest, and I was able to get a first hand look at the action. 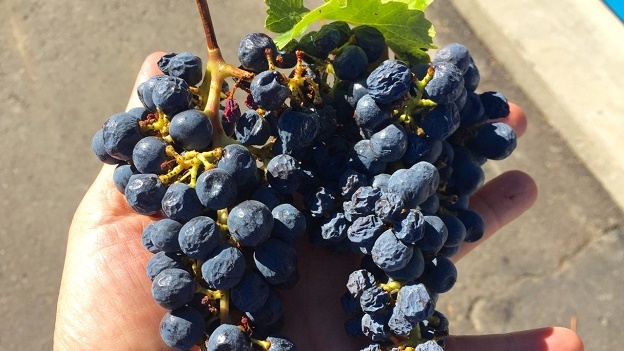 In some cases, estates had all of their Cabernet in by the end of September, which was unheard of…at the time. In the cellar, the wines were slow to extract, so most producers kept the wines on the skins a bit longer than normal. Despite the early start of the season and drought conditions, the 2014s maintained gorgeous acidity, freshness and overall energy.We shot quite a bit of video that fall, all of which is available below. The 2014s are distinctly mineral and savory, with less mid-palate intensity and depth than the 2013s. I started tasting the 2014s this past spring, as is my custom. Since then, the wines have only grown in stature and overall complexity. Quality at the top estates is superb. A year ago, I thought 2014 would turn about to be a sort of combination of 2012 and 2013, but the wines have now moved in a direction that is far closer to 2013, albeit with less overt richness. My sense is that 2014 will hold considerable appeal to readers with classically leaning palates. The best wines are breathtakingly beautiful. Two thousand fifteen challenged growers from the beginning. The temperate, dry winter caused soils to warm up early, which encouraged early budbreak and got things moving well ahead of schedule, even by the standards that were set in 2013 and 2014. Unseasonably cool weather in May wreaked havoc on flowering and lowered the potential crop dramatically. Prolonged periods of heat followed for most of the year, but maturity within the clusters themselves was quite uneven. Sugars raced ahead while phenolic ripeness lagged. Some producers picked early to preserve as much freshness as possible, while others decided to wait it out and take advantage of the gorgeous weather that started to set in during the early part of October, when daytime highs remained elevated, but the effect of shorter days, and especially cool nights, was evident. 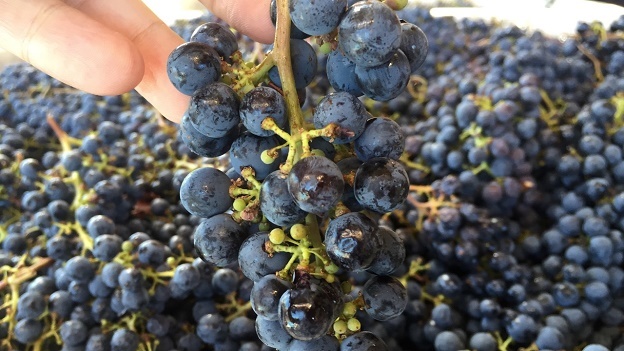 The harvest was interrupted at several points by brief spells of rain and rapidly changing weather that caused vineyard managers to move pick dates around at the last minute. In the end, producers reported yields that are down 30-50%. Most of that happened in the spring. But ultimately, 2015 is a vintage that will have been made through strict selection, either in the vineyard or at the sorting table, or both. Given the wide quality of fruit I saw coming off the vine, I expect the wines to be equally variable. I did taste a few early samples of the 2015s, and while I would expect winemakers to show only their very best at this stage, I think it is fair to say there will be some fabulous 2015s, although they are likely to be few and far between. “I can’t drink more than a glass of any of the wines I make for my consulting clients. These are the wines I actually want to drink” – A top Napa Valley consulting winemaker as he showed me the wines he makes under his own label. There is something incredibly fascinating happening in Napa Valley right now. Almost every winemaker I taste with under the age of 40 or so has a deep fascination with the history of Napa Valley, and the wines made during the 1960s and 1970s, the period most observers would say was the first Golden Age of Napa Valley wines. And yet, the pull of the market remains so incredibly strong in the opposite direction. One of the main topics of discussion during my three weeks of estate visits this fall was the Wagner family’s sale of their Pinot Noir brand, Meomi, for $315 million. Good for them. Entrepreneurship is at the very heart of the American Dream. And if these are the wines that ultimately lead beer and spirits drinkers into wine, so much the better. But most of Napa Valley’s estates aspire to a higher level of quality. And the simple fact is that many young winemakers are not making the wines they really want to make, they are making wines for someone else; whether that is an estate owner or a broader concept of what the market wants. Today’s consumer, though, is far more travelled and cultured than the consumer from a generation ago. The awareness of food alone in this country has literally exploded over the last few decades, but wine lags. I do not believe the consumer wants things dumbed down. Not surprisingly, over the last few years, I have seen a marked, but sometimes subtle, stylistic shift towards the center as winemakers are increasingly comfortable with their own convictions. The total package – Napa Valley’s combination of world-class wines, stunning natural beauty, great weather and fabulous food culture can only be equaled by a few places in the world that I know of. Piedmont is one, in case you are wondering. Turnarounds – Inglenook, Stag’s Leap Wine Cellars and Clos du Val all appear to be moving in the right direction. It will be interesting to see what effect a recent winemaker change at Clos du Val brings, but the last two vintages have been terrific. New projects – It’s always interesting to see new projects get off the ground. I have been fortunate to see quite a few wineries emerge in recent years, but the pipeline for the future is also looking bright. Promontory – The wines from Bill Harlan’s rugged, hillside property continue to improve in a meaningful way. Helen Keplinger – Keplinger’s first vintages at Grace, Blank and Carte Blanche are all impressive, while her own wines (reviewed in our Sonoma issue) are the best I have tasted so far. Turley – Larry Turley and winemaker Tegan Passalacqua make a wide range of absolutely gorgeous old-vine wines that celebrate California’s heritage sites and that deliver superb quality for the money. The Vineyardist – Proprietors Dirk Fulton and Becky Kukkola continue to invest in their pristine Diamond Hill estate. The small, onsite winery is not fully finished, but it is now operational. Keeping it real – Producers for whom delivering value is important. Over-Decanting – Two hours of air is good, so twelve is better, right? No. Young wines can respond negatively to too much air by shutting down hard. First-Come, First-Served Mailing Lists – This abhorrent, anti-consumer business practice can and does result in long-time, repeat customers getting shut out of highly desirable wines. Note to wineries: the people who can afford to buy your wines have busy lives and more to do in a day than sit by their computers/phones waiting for an offer to arrive. Guaranteed allocations that need to be purchased within a limited time frame is a much more pro-consumer model. And of course, this critique is not Napa Valley specific, but applies to all wineries in the US that sell direct to the consumer. Maybe bigger isn’t better – I was deeply disappointed to learn that the magnums I bought of an expensive, highly regarded Cabernet Sauvignon were bottled semi-manually and not on a fully automated bottling line, which introduces the slight possibility of human error and bottle variation. I’m pretty speechless about this one. Actually, I’m not. The technology to bottle magnums on a line has been around for 25 years or so. So much for using mobile bottlers in order to have access to the most modern technology. I strongly encourage Vinous readers to inquire about how large formats (magnums or larger) are bottled before buying those wines. To be fair, this is an issue in every region, but in Napa Valley, where prices are often in the stratosphere, there is simply no reason for a product to be flawed when the root cause is so easily identifiable and addressable. Of course, first off and last off bottles are an issue in other regions as well, but it is especially egregious in Napa Valley, where the bottle price is so high. As always, there are a few estates I missed, usually because of a combination of scheduling, the recent bottling of wines, and other logistical/practical issues. There are also a handful of wineries that choose not to show their wines, including Maybach, Peter Michael, Schrader, and, for the first time, Araujo Estate. Because this article is being published earlier than has been the norm over the last few years, wines from these producers are not yet available, but once they are in the market I will buy them, taste them and add reviews to our database. Readers should expect to see a supplement to this article towards the end of the year. This article alone contains well over 1,000 reviews but as always, there are late arriving samples and other wines as described above that merit coverage that I was not able to taste this fall. This article is dedicated to the memory of my dear friend Nick Simmons; brilliant musician, painter, husband and father.